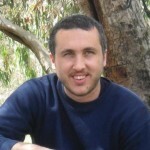 Tag Archives for " Lior Levin "
Metrics are the lifeblood of almost every successful business. Understanding who your customers are, what they need and how you can serve them is the key not just to growing a business, but keeping the clients you have happy. Fortunately, the Internet makes collecting metrics remarkably simple. From web analytics to financial tools, it’s possible to analyze your current and potential clients at every step. However, this deluge of data can be overwhelming. While tools can and will collect just about every available detail, not all of the information is useful. With customer acquisition, every business has a new customer “funnel”, a process that customers go through to sign up. With most funnels, a large number of customers start at the first step (such as visit a site) and fewer complete each subsequent step. 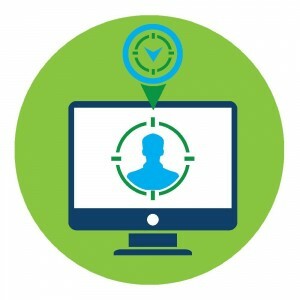 It’s important to track how many potential customers pass through each part of the funnel to see where the major choke points are. Are many customers asking for a free trial but not continuing? Are many landing on a web page but not completing the needed form? Finding the choke points in your funnel can help convert more customers and lead to a much smoother acquisition process. You can measure funnels with Mixpannel, clicktale, appsee, Google analytics, Heap and many more. Marketing is one of the largest expenses for many small businesses. However, not all marketing is created equal and a lot of it can simply take your money without any appreciable benefit. The easiest way to determine what works and what doesn’t is to perform a cost per acquisition analysis. Simply add up how much you spend on marketing in a month and divide it by the number of new customers you acquire. If that number is greater than the amount you expect to receive from a customer, you are losing money on your marketing. Once you’ve done that, it’s important to drill down further and see what the cost per acquisition of each campaign is so you can hone your efforts and lower your marketing costs. 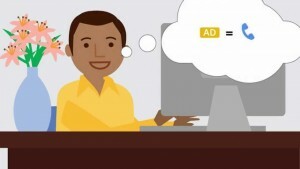 There are also online calculators that allow you to measure the CPA of your ads. The lifetime value of a customer is simply how much you expect to earn from the customer over the course of their time with you. Here is a nice infographic that explains it. For a subscription-based service, this is simply the average monthly revenue multiplied by the average subscription length. For a sales-oriented business, it would be the average sale multiplied by the average number of sales. Not only is this useful for comparing to your cost per acquisition, but it is a useful metric by itself as it showcases ways to grow this value. Whether it’s finding ways to keep customers longer or simply getting more revenue from them while they are with you. Customer satisfaction can be difficult to track, but it is a crucial step as satisfaction not only determines how long customers are with you and how much they spend, but how likely they are to recommend you. Surveys and polls are the easiest way to collect satisfaction metrics through focus group. One-on-one interviews can help drill down to discover specific issues that you can improve. There are a few more ways, but you should also try to be creative with the way you track the customer satisfaction. 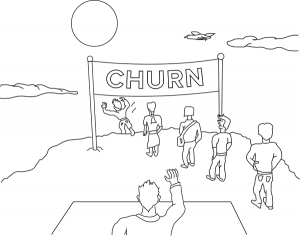 Churn is simply the number percentage of customers who leave during a certain period of time. It’s calculated by looking at the customers you have at the start of a period and seeing what percentage are not there at the end of it. Obviously you want a low churn number, but you definitely want one that’s lower than the number of incoming customers. There are a few ways to improve your churn (feedback, testing and more). Churn can also signal other problems. For example, if you have a high churn but low satisfaction, it could be a sign a competitor is luring customers away. When it comes to metrics, it’s easy to be overwhelmed but by focusing on the ones that matter most, you can quickly parse what’s important and provide your customers, both potential and current, the best experience possible, so you can increase your revenues. Simply put, that’s what metrics are about, finding ways to improve your business. This post was written by Lior Levin who works for ily and also serves as a marketing consultant for rss api company called Superfeedr.